AR 218 Sculpture 2 Students participated in the 2018 Service Learning Scholarship Week Poster Session sharing their work about their D-Eco-Self collaboration project and artworks that they made with Aslan Youth Ministry. Denice Michalchuk created the poster, and Victoria Garbutt and Diana Rickard help Denice present to a packed crowd during the event. To view pictures of their student exhibit, check out the gallery or read the blog post!  2018 D-Eco Self theme was Ocean. Monmouth University, AR 218 Sculpture 2 class collaborated with Aslan Youth Ministry for Discovering the Ecological Self, as well as on their own individual artworks. Marine and Environmental Biology and Policy senior Rebecca Klee and junior Taylor Donovan volunteered their time to guide the science teachings, with support from Assistant Biology Professor Dr. Pedram Daneshgar. Students from Callas’ AR 218 Sculpture II course have helped mentor the Aslan youths on their artwork. The students designed wearable structures and individual wearable pieces of clothing, meant to be expressive of a symbolic idea drawn from nature. 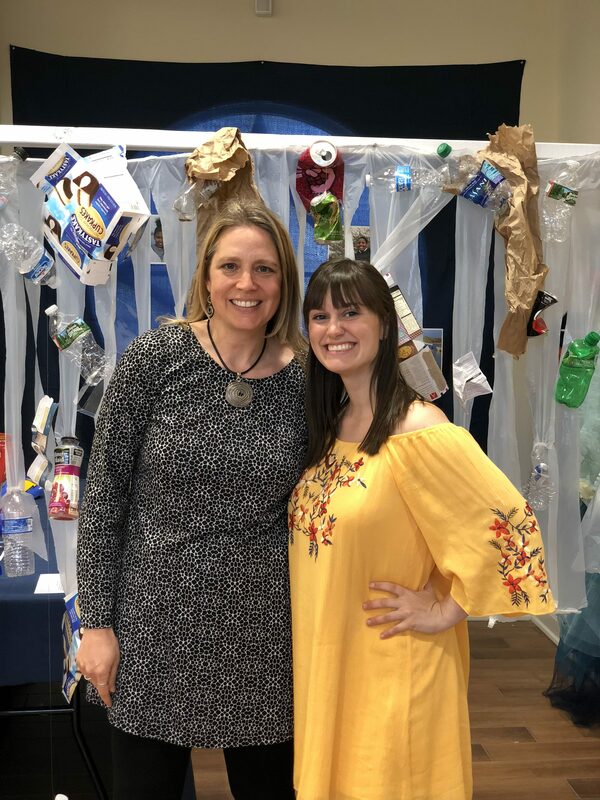 The students worked in teams with the Aslan Youth Ministry to create their artwork in conjunction with the eco-masks that the middle schoolers were making. The sculpture students then created an installation, inspired by the Aslan Youth mask work to be displayed in a Monmouth University art gallery, titled “Layers of the Ocean.” Their individually designed wearables were based off of each layer of the ocean, such as the twilight and midnight zone, just as the Aslan Youth Ministry eco-masks were. 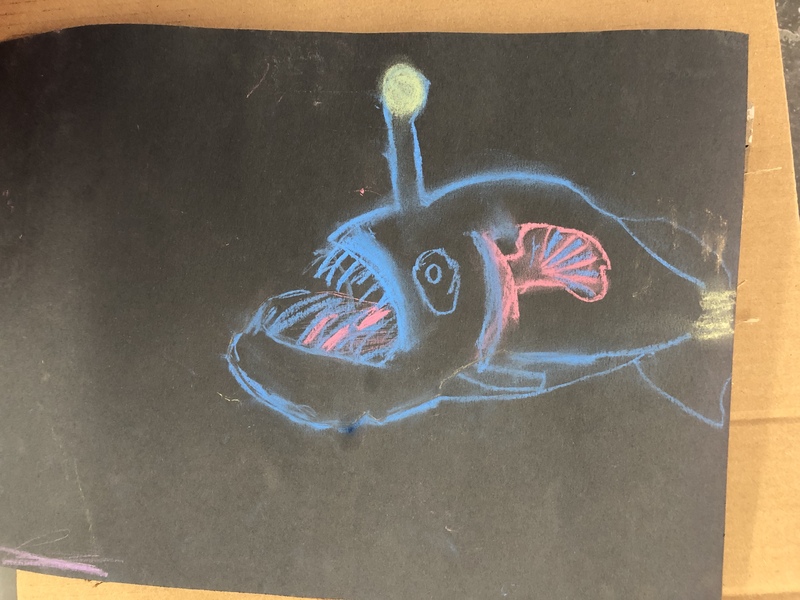 To read more about the students’ inspiration, you can read the blog post about the ocean levels and bioluminescence. The students followed a specific timeline to have their project completed by and displayed them for all to see at the end of the semester. To see photos from the exhibit, check out the gallery! One of the best ways to learn about the world around you is going out to observe it. The best way to feel connected with nature is to learn about and see it, first hand. 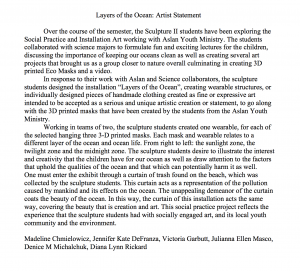 That is what the students of the Aslan Youth Ministry and Monmouth University’s Sculpture 2 class did as a highlight of their D-Eco-Self workshops. Hosted by the Urban Coast Institute, the group was invited to take an ocean boat ride with Captain Jim Nickels. Tours were led by Marine and Environmental Biology and Policy senior Rebecca Klee and junior Taylor Donovan with support from their faculty mentor Assistant Biology Professor Dr. Pedram Daneshgar. The Aslan Youth students also were accompanied by family members. 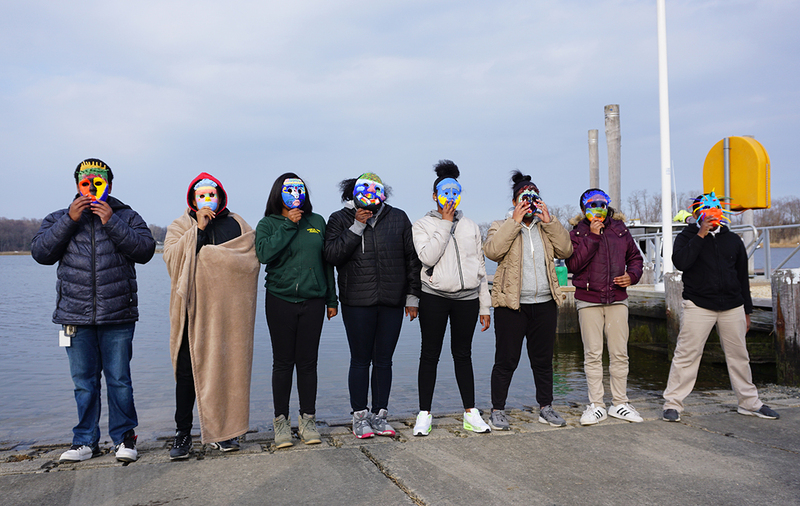 The youth artists brought their ocean themed eco-masks out on the water, and wearing their masks in the ocean environment that inspired them. While a group was on the boat, the other half stayed on the shore to observe the plants and the environment at the Monmouth Marine and Environmental Field Station site in Rumson, New Jersey. The students also took a lot of pictures to show off all of their hard work with their eco-masks. 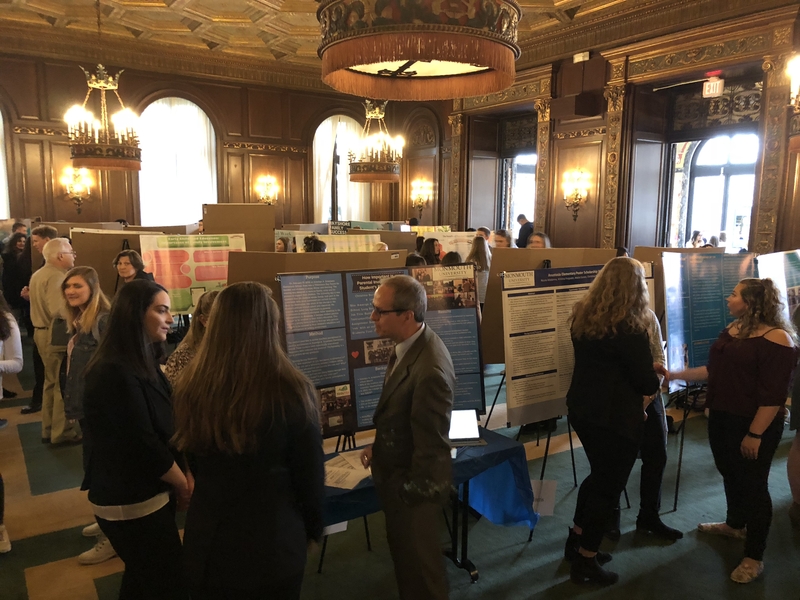 Karl Vilacoba, Urban Coast Institute’s Communications Director, wrote a April 16th, 2018 blog post about the event. To view pictures from the boat trip, check out the gallery! The ocean is a vast body of water that is sometimes incomprehensible. It is home to countless lifeforms, some of which are still being discovered, to this day. Not only is the ocean wide, but it is also miles deep. Scientists have classified it into different levels. There are several different levels and hundreds of species and creatures that inhabit each level. The most basic breakdown of levels is based off of how far light travels underwater. These levels are: the sunlight zone, the twilight zone, and the midnight zone. The sunlight zone, which is the first ~650 feet below the surface, is home to most common fish and sea creatures, such as various marine mammals and sea turtles. For the next ~2,600 feet, it is the twilight zone; in this zone, light dissipates quickly. Some larger fish and mammals reside in this zone of the ocean, like sperm whales and octopi, and many tend to be bioluminescent – or, they create their own light. Other crabs and crustaceans, along with algae, also can be found in this ocean zone. Lastly, there is the midnight zone, which is the part of the ocean where no sunlight penetrates. All of the creatures who call this zone home know how to use this darkness to their advantage, and many of them are able to create their own light. The food options are very limited due to the complete lack of sunlight, so the sea creatures that live in the midnight zone feed on plants and other creatures that fall from higher zones. Knowing about the separate zones and how they function is an essential part of understanding the ocean. As a part of Discovering the Ecological Self, science volunteers from the Department of Science from Monmouth University gave a lecture to students from the Aslan Youth Ministry, describing the different parts of the ocean and the sea creatures that reside in each level. After learning about jellyfish, anglerfish, and Ctenophora, the students then set to work creating art. They used colorful chalk on black paper (pictured above) and played with creating light installations. Through this, volunteers and students alike began to understand how much life is contained in such an extremely large body of water, and why it is so important to preserve it. There are so many things left undiscovered about the ocean, but there is a high chance that our pollution is killing it before we even get the chance to explore. Connecting with the ocean is vital to is preservation, which is why the theme for Discovering the Ecological Self this year was the Ocean. Plant pressing is a critical part of preserving and understanding the environment. To press plants, there is a tool that is aptly named, “plant press,” used by botanists and other ecologists. It has been developed over hundreds of years and is made of two boards, adjustable straps, and layers of paper to dehydrate the plants. Pressing plants is important for their preservation and to study, which is why it’s a method used so often by ecologists, botanists, and even artists. 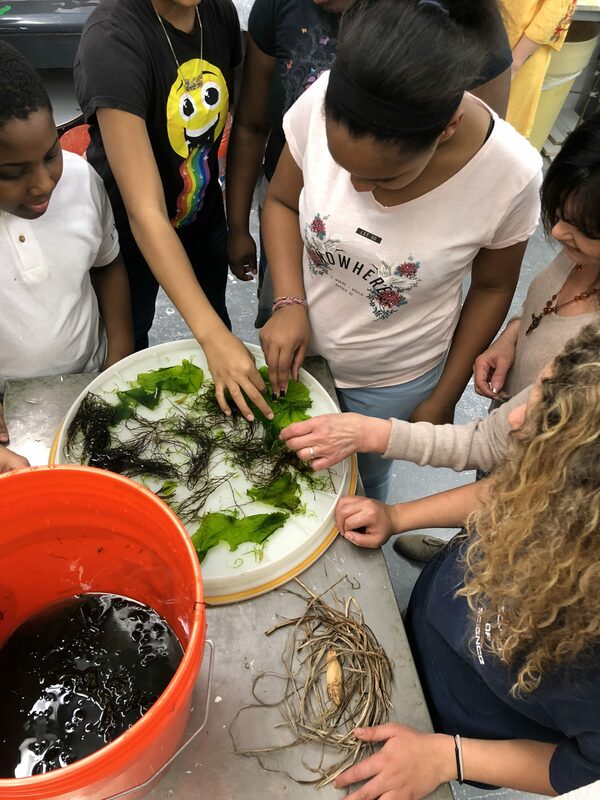 On the same day that the students of the Aslan Youth Ministry learned about seaweed, they were also taught about plant pressing byDr. Pedram Daneshgar and Marine and Environmental Biology and Policy senior Rebecca Klee and junior Taylor Donovan from the Science Department at Monmouth University. They were given a brief lesson about plant pressing and then went off to the Monmouth University greenhouse. At the greenhouse, they explored all the different flowers and plant life. The students were able to learn about each plant, and looked for patterns and textures to use in their art. 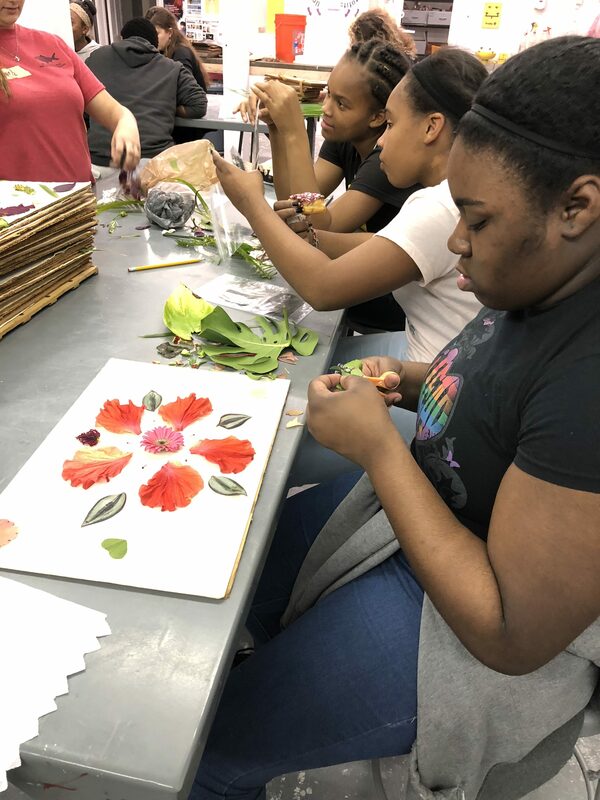 By gaining this new knowledge about plants, plant pressing, and through identifying art in the plants and flowers, the students were able to connect to nature and the environment in a new way. This new perspective of nature allows the students to immerse themselves in the environment. Creating a deeper aesthetic understanding for these plants helps to create a deeper appreciation and love for nature, further inspiring environmental protection and nurturing. To see more photos from the greenhouse trip and plant pressing, check out their respective galleries: greenhouse trip & plant pressing.